This photo book is about the trip to Italy with my friend, beautiful woman and wonderful model - Naya Mamedova. 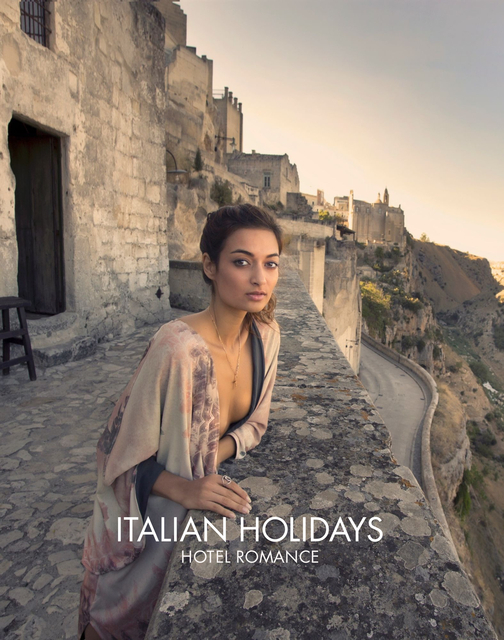 The idea of the trip was born, when I first saw on the Internet an amazing hotel Sextantio Le Grotte Della Civita and a city Matera, where it is located. In ten days we have visited three Italian cities - Venice, Bari and Matera. The trip was superb. I took an impressive amount of photos in hotels, outdoors and in the streets of these cities.